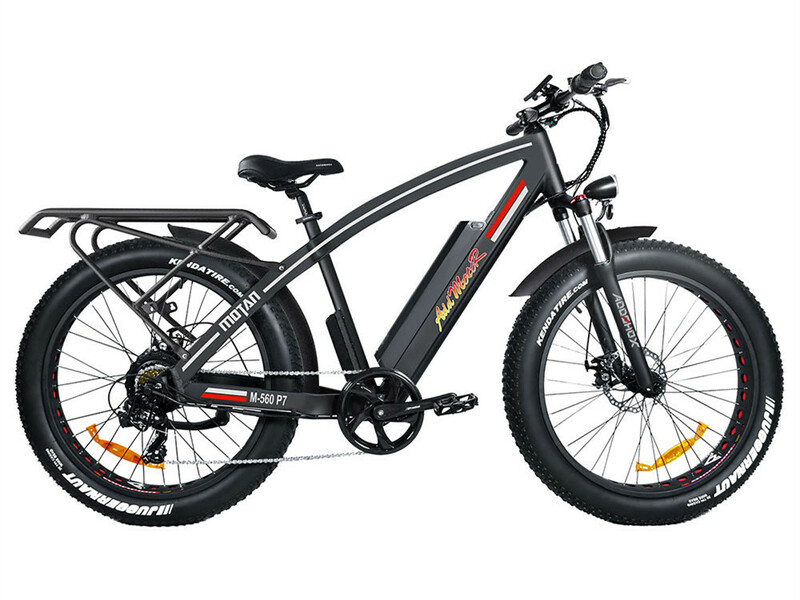 * ARC INTEGRATED SPORTY STRONG FRAME DESIGN.The Addmotor Motan M-560 P7 is a sporty, agile electric bicycle designed with an elegant ARC INTEGRATED frame for the more aggressive, sportier rider. 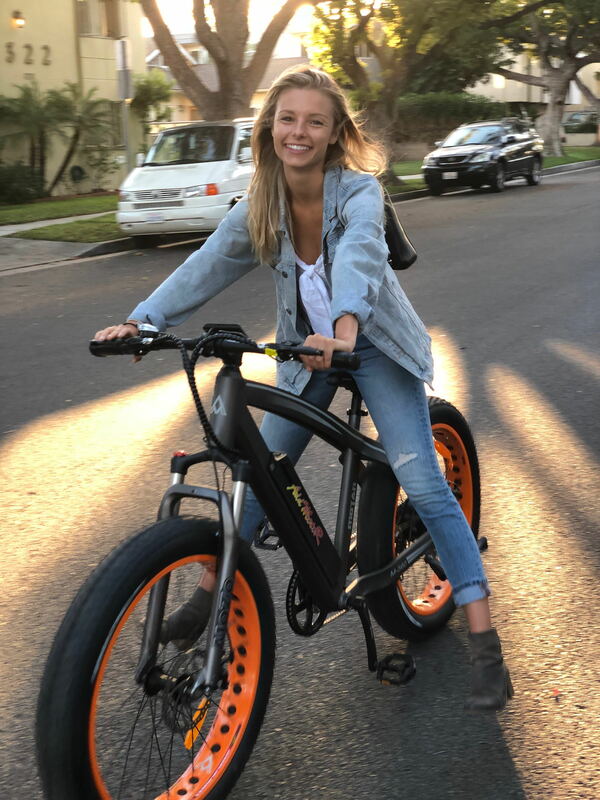 The frame is curved for both stylish and strength that meaning the Addmotor MOTAN M-560 P7 is designed to ride and handle like a sportier than average electric bicycle. 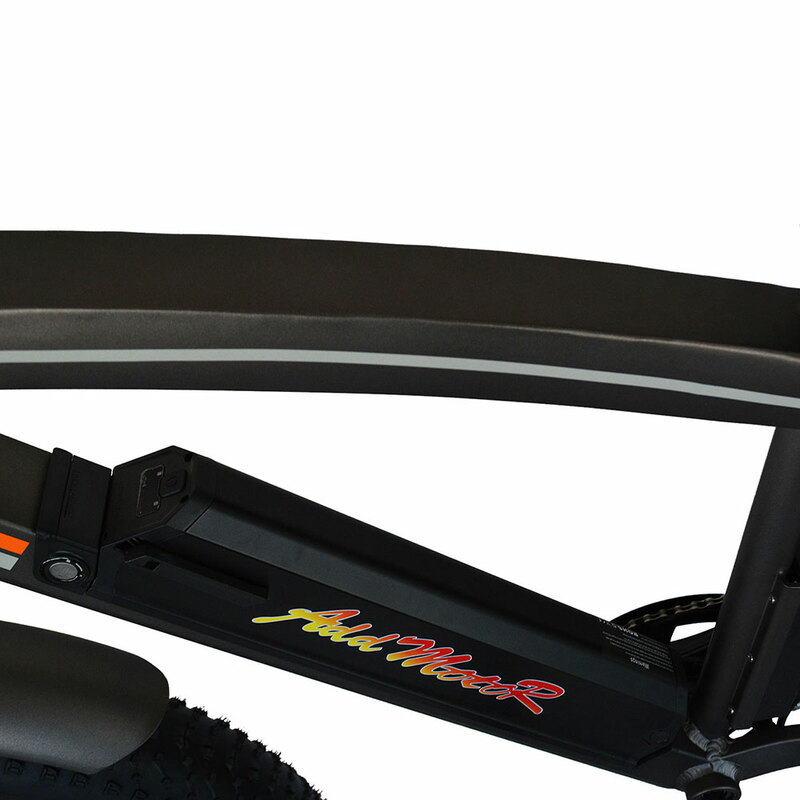 * SEMI-INVISIBLE BATTERY BOX.MOTAN M-560 P7 features a streamline frame that a half of the battery box can place onto the tube,which save more space and reduce bicycling drag. * POWERFUL MOTOR.With its hub mounted 750W brushless motor and 11.6AH lithium ion Panasonic battery, the MOTAN M-560 P7 has the power and range to accompany you on adventures of almost any length and duration on a single 4 hour charge. * USE ELECTRIC POWER OR PEDAL ASSIST OR MUSCLE POWER TO MOVE ALONG. The M-560 P7 offers three modes of muscle power,electrical pedal assist or full electrical operation to allow you to cruise effortlessly or help you get to a higher top speed,or even climb mountain hills more easily. * MULTI TERRAIN. MOTAN M-560 P7 equips with an unique curved frame that have a excellent orographic performance, no matter as a hunting bike or a daily city commute bike it can behave very well. 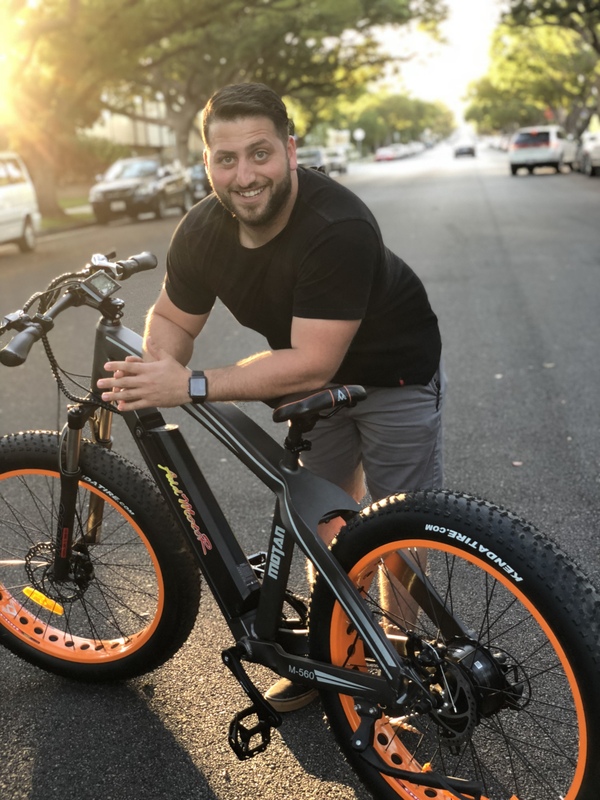 Motan M-560 P7 E-bike is the newest design in 2019. 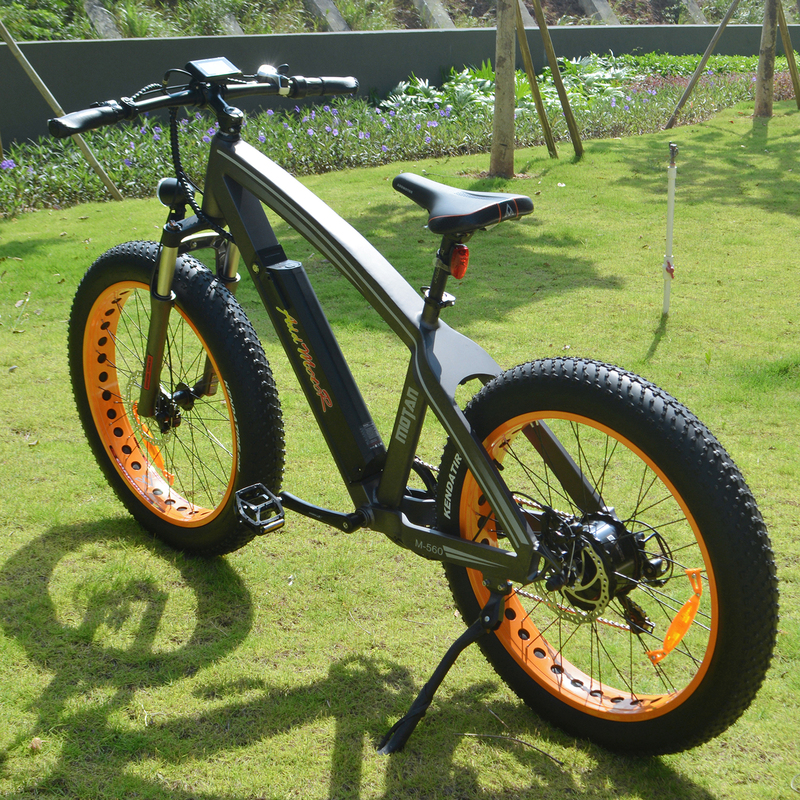 26 inches fat tire and front fork suspension will let you felling more comfortable and freedom while riding through the cityroad. Featuring for hunting and daily commute biking.When you are riding the bike, it's like being a child again and makes you smile. 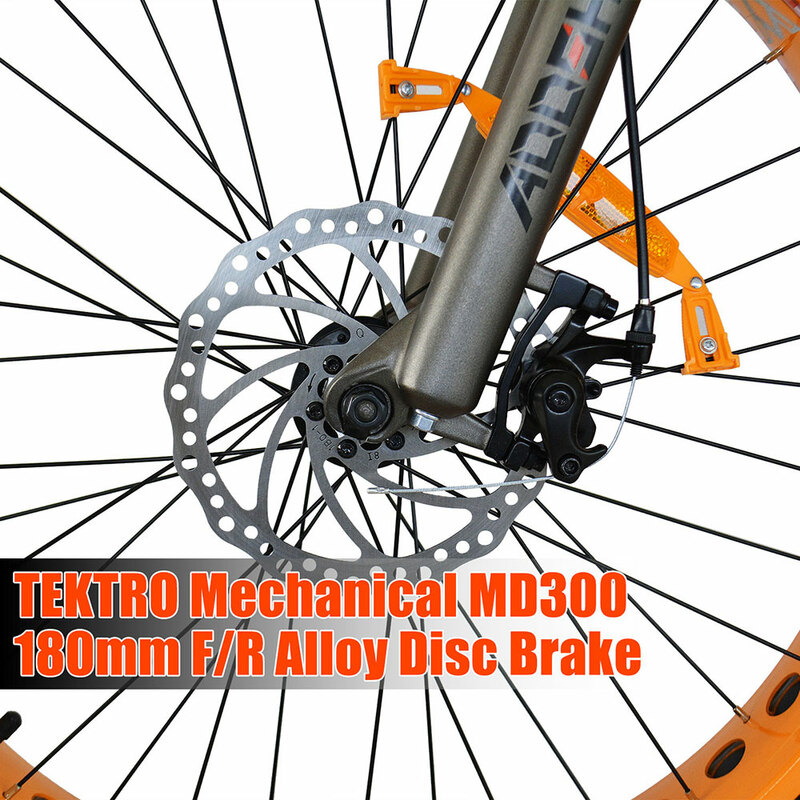 Mechanical MD-M300 180mm F/R alloy disc brake. 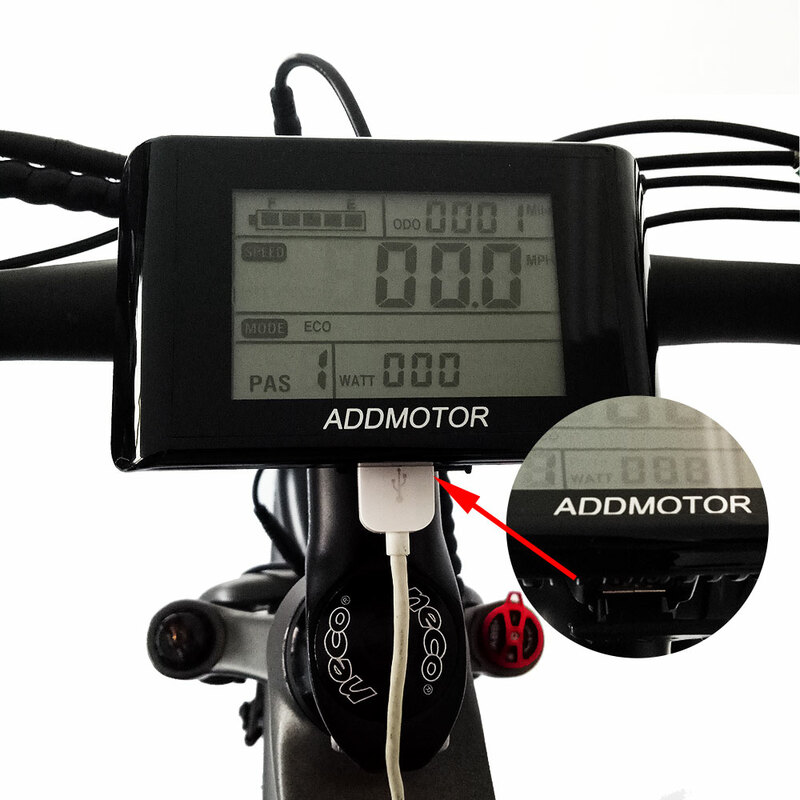 It is more powerful, stable,fast and feel good, easy-to-use to help you stop the bike. Battery: 48V*11.6AH Lithium Batteries In A Sealed Removable Pack--Easy to Disassemble and Recharge.